Construction on the Atlantic Coast Pipeline could be delayed for months after Fourth U.S. Circuit Court of Appeals in Richmond ordered the 600-mile interstate natural gas project to stop all work, The News & Observer reported. The project is a joint venture between Dominion Energy, Duke Energy Corporation, Piedmont Natural Gas Company and Southern Company, with Dominion Energy being the majority stakeholder and chief operator of the pipeline. The 600-mile Atlantic Coast Pipeline is intended to transport gas from Marcellus and Utica shales to West Virginia, Virginia and eastern North Carolina. Evolving technologies like horizontal drilling and hydraulic fracturing or fracking have led to a boom in natural gas production in the Marcellus and Utica shale fields in West Virginia, Ohio and Pennsylvania. The pipeline is likely to transport around 1.5 billion cubic feet of natural gas per day to North Carolina and Virginia, zacks.com reported. The U.S. Court of Appeals suspended the federal permits from the U.S. Fish and Wildlife Service, which in September had cleared the way for pipeline construction in sensitive habitats. The habitats are home to four endangered species: a bee, a bat, a mussel and a crustacean. 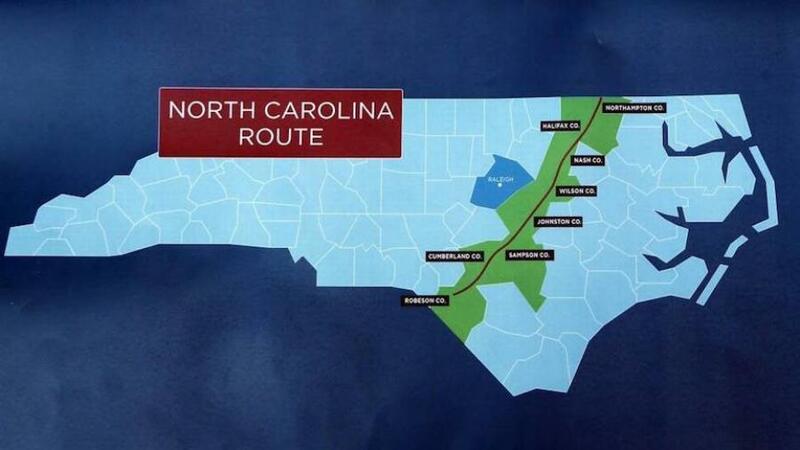 Lawyers for the pipeline, which would run through eight counties in North Carolina, asked the court to reconsider the ban, saying it was too far-reaching. The Atlantic Coast Pipeline's lawyers said, for example, that none of the four endangered species have sensitive habitats in North Carolina, suggesting that pipeline construction work could continue in the state, The News & Observer reported. "Due to the scope of the court's order, Atlantic will be unable to proceed with any construction in the ‘action areas' despite the lack of potential harm," the pipeline's lawyers wrote in a court filing. A court hearing on the validity of the federal permit is not scheduled until March. The permit allows pipeline construction to accidentally harm wildlife protected by the federal Endangered Species Act. But in the meantime, the Atlantic Coast Pipeline and environmental groups who oppose the project are locked in a legal battle on whether the temporary construction ban should apply to the entire pipeline or just the areas with the endangered species, The News & Observer reported. DJ Gerken, a lawyer for the Southern Environmental Law Center, said Saturday in a phone interview that the sensitive habitat of the Indiana bat, one of the endangered species, covers most of the pipeline's projected path in West Virginia and Virginia. Gerken said his clients, which include the Sierra Club and the Virginia Wilderness Committee, oppose any construction work under an invalid federal permit, The News & Observer reported. According to the environmental group's legal briefs, pipeline construction could harm endangered species in a variety of ways. The clubshell mussel would be buried alive by dredging and grading. Digging and blasting could crush or trap the Madison cave isopod, a type of crustacean. The rusty-patched bumble bee could be injured or killed by tree felling. And tree clearing would force pregnant female bats to change their flight routes, exposing the bats to predators. Just about every state and federal permit issued to the Atlantic Coast Pipeline has faced legal challenges, occasionally resulting in temporary stoppages on sections of the project. The environmentalist challenge to the federal permit that allows incidental harm to endangered species presents the most comprehensive legal challenge and potentially the longest delay to the project, The News & Observer reported.